When you need a unique circuit board shape, configuration or function for your application, rely on MPC Design Technologies, Inc. for your design. 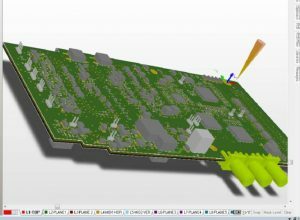 We have the expertise and capabilities to translate your specifications into a manufacturable PCB layout that meets your needs. The design team at MPC has more than 75 years of combined experience in circuit board design—far more expertise than is required for standard commercial circuit board design. We prefer to put our skills to the test, and we find the challenges we need to stay on the cutting edge of electronics development from your custom projects. At MPC Design Technologies, Inc. every project we take on is one-of-a-kind. We custom-design circuit boards to fit any space configuration and provide the processing capabilities you demand. Recruiting, vetting and onboarding professionals with the right expertise to remedy these deficiencies can cost thousands, even millions of dollars and extend the expected time for product delivery by months or years. For most companies, that price tag makes the custom circuit board cost-prohibitive. Plus, dedication to customer satisfaction and certified quality management systems ensure that you get the custom design you need from an Albuquerque-based firm recognized for adherence to international standards. 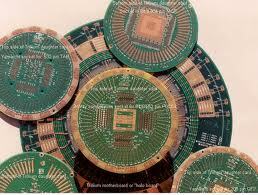 To get a quote for custom circuit board design, please contact us. We can typically generate a design quote within one business day. Take advantage of cost and time savings of custom circuit board design services provided by MPC Design Technologies, Inc. Call us at 505-227-8905.